The Catholic Middle Ages have long been the target of sneering Protestants, carping cynics and, nearer to our time, the entire Liturgical Movement industry – all determined to defame the Church in the medieval period as a corrupt institution. Indeed, even today, the epithet medieval, when applied to the Church, is nearly always used in a pejorative sense to describe the ultimate in ecclesiastical power-mongering, ignorance, bigotry and superstition. From the early days of the Protestant “Reformation,” history was ransacked for dirt to fling at the Catholic Church. Unfortunately, some of the mud-slingers, then as now, were Catholic priests. (1) The main targets of their criticism were the Mass and the Priesthood. Although his Encyclical predates the official start of the Liturgical Movement, its references to the enemies of the Church can be said to apply pari passu to the liturgical leaders, who would later succeed in replacing God with man in the reformed liturgy. 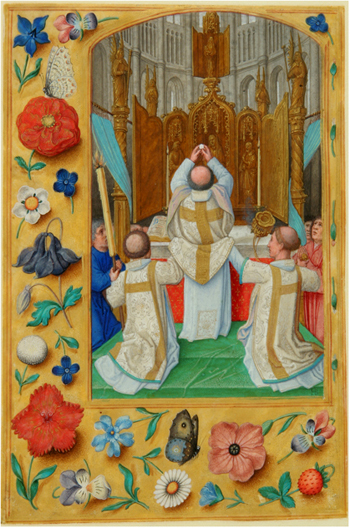 Far from studying the medieval period with genuine interest, appreciation or affection, Jungmann displayed an almost prurient curiosity about whatever criticisms the 16th century Protestant heretics raked up or invented against the traditional liturgy and the devotional life of the faithful. As we will see below, he joined with the Church’s detractors to denigrate not only the Mass and the Priesthood, but also the very faith and pious practices of the medieval faithful. We will see how he ridiculed all that was distinctively Catholic in the medieval Mass, especially the Elevation of the Host and Chalice; the role of the chantry priests who said Masses for the dead; the Votive Mass that was said for special intentions; the Low Mass said by a priest with an altar server, with or without a congregation; and the use of side-altars. Every one of these features has been the target of bitter vituperation and calumny by Luther, Cranmer and other leaders of the Pseudo-Reformation. For their aim was to alienate the Catholic faithful from the Mass by accusing it, among other things, of having deviated from the purity of the original Christian liturgy; of being divorced from the lived experience of the people; of inventing rituals that fail to inculcate a genuine “community spirit”; and of denying the faithful true participation in the liturgy. We cannot omit to notice that these unjust criticisms were also the main planks of the Liturgical Movement’s reforms in the 20th century, which culminated in the New Mass. Let us now turn to the ceremonies that accompanied the moment of Transubstantiation, and against which the 16th century Protestants launched their fiercest invectives. Around the end of the 12th century, the practice was introduced of elevating the Host after the words of Consecration so that It could be seen and adored by the people. The elevation of the Chalice was introduced a century later. The medieval practice was instituted, under divine inspiration, so that faith in the Real Presence could flourish and grow at a time when the doctrine was being attacked. It was also an aid to greater participation of the people in the Mass. 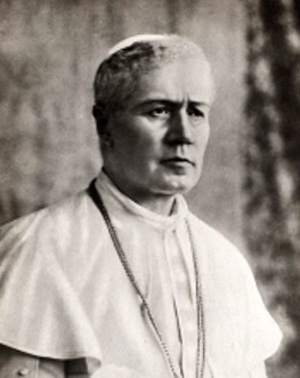 “The Eucharist … is not primarily an object for our adoration … the specific purpose of the Sacrament is not the cult, but the celebration of the Eucharist, primarily its Sunday celebration by the assembled congregation.” (4) He also affirmed that this communal celebration, i.e., the active participation of the people, is the “primary and true function” of the Mass. Here, Jungmann was implying that the Church had broken the continuity of Eucharistic doctrine by subverting its original concept. His grievance was, basically, that the Mass was becoming too God-centered. He complained that medieval theologians were becoming fixated on the precise moment of Consecration; the people were focusing their attention on the Real Presence at the Elevation. All those special liturgical forms of reverence – genuflections, ringing of bells and swinging of thuribles, periods of silence – he considered de trop and, therefore, inappropriate. Interestingly, this was also the basis for the Protestant rejection of the Mass. Two diametrically opposed views are presented here. On the one hand, there is the concept of the Mass whose animating principle originates in the activity of the people and which Jungmann pretended was the authentic Christian heritage. On the other, there is the Immemorial Mass in which Christ descends daily on our altars and which Jungmann implied was an invention of medieval theologians. To put it in a nutshell, one is naturalistic because it chiefly concerns man and comes “from below”; the other is supernatural because its point of reference is God and comes “from above.” History has shown which view gained credence and acceptance in the Liturgical Reform that produced the New Mass. And examples are evident and abundant of the consequent loss of awareness of the value of the Consecration among modern Mass-goers. Anyone not yet convinced that Vatican II’s Liturgy Constitution was based on a false premise that would lead logically to an equally false conclusion (the Novus Ordo Missae) would do well to bear in mind that it was Jungmann who wrote and edited the entire Chapter Two on the Eucharist. In the next article, we will see what exactly Jungmann said about the Elevation and how closely his criticisms resembled, even mimicked, those of the 16th century Protestant heretics. The main difference was that the 16th century detractors, e.g. Martin Luther, left the Church, whereas the Vatican II-era ones generally remained, like termites working from the inside to bring the whole structure down. Pope Pius X, Une Fois Encore, Encyclical on the Separation of Church and State, 1907, § 4. Fr Nicholas Gihr, The Holy Sacrifice of the Mass (Fribourg: Herder, 1902), p. 642. Jungmann, Announcing the Word of God, trans. from the German by Ronald Walls (London: Burns and Oates, 1967), p. 124. This is a reference to the freely-given gift of grace for the salvation of souls. 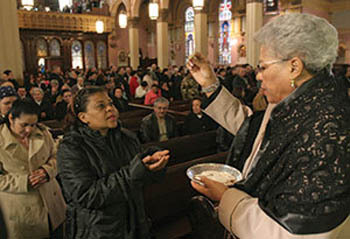 In the Novus Ordo, the main emphasis is on the “people’s gifts” which overshadow and eclipse the gift of supernatural life which Christ makes available at every Mass. Jungmann, The Mass of the Roman Rite, vol. 1, p. 82. This refers to the supreme homage (latria = adoration) due to God alone, which is the first end for which the Mass is offered. Jungmann, The Place of Christ in Liturgical Prayer, trans. Geoffrey Chapman (Collegeville: Liturgical Press, 1989), p. 256. The first edition was published in 1925 under the title Die Stellung Christi im liturgischen Gebet when Jungmann was a young university lecturer in Innsbruck. It was praised by Dom Odo Casel and Karl Adam as a major contribution to the Liturgical Movement. The second edition was published in 1962 and revised in 1965.